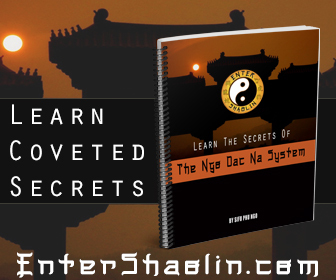 There are many different elements you have to train in your kung fu. Among them is your grip. It is one thing to grab someones wrist, it is another thing altogether to seize your opponents wrist and have them buckle to the ground in pain. Don’t laugh, that is exactly what happened to me in this video. Make sure you watch the video before reading the rest of this post! Of course this video is for demonstrative purposes, I am not fighting back but that is not the point. I know there are some people that will watch this and think something along the lines of “That is not real, he isn’t really resisting it.” If that is what you are thinking than you are missing the point of the video. You just don’t want to grab someones wrist and hope for the best, if you are going to grab a persons wrist you want to make sure that you have a really good grip on it. 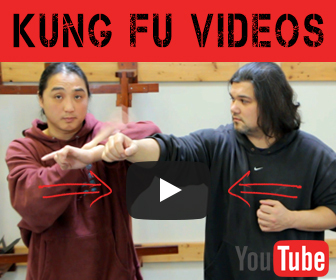 In the video you noticed that Sifu locks into the bones of my wrist, kinda like hooking into them. In this way he is able to lock in his grip and makes it very difficult to pull out from. The technique he is using is sending the energy back into the spot he is grabbing, which happens to be my wrist which is a weak spot on the body. In this way he is able to use my force (energy) with his own force and really cause some pain to that area. Coupled with the fact that if you isolate something on the body it hurts way more than if you target a wider area. If your opponent is unable to process anything other than what you are doing to them hurts, you have the battle halfway won. The reason for this is because your mind will process what is going on the moment it happens, whatever that happens to be. Some people can train to ignore pain or even have a high pain tolerance, but if you isolate something their brain has no choice but to process what is happening to their bodies. This is why if you get a lock applied, it causes so much pain that the person just knows to give up. This isn’t exactly kung fu training but it gets the point across. Grab a big hunk of flesh near the side of your stomach and squeeze it really hard. Hurts right, but you could still focus enough to counter. Now take the same side of your stomach and grab a little tiny bit of meat squeeze it and grind your thumb and index finger into it. You will see that it hurts a lot more. That is what happens when you isolate something, it just hurts that much more….. This makes a lot of sense to me. The racquetball exercise seems like a really good one to enhance the grip strength. What about fingertip push ups? Thanks for stopping by SenseiMatt, ya I could see using fingertip push-ups. Great Job! Do you guys agree with me when I say that this is an awesome site? I thought the information you posted on were very interesting and indeed useful. I just bookmarked your site so that I can read more of your post next time. Keep up the good work and keep on information us about new things. Hi Ronald, thanks for stopping by. We have more videos we will be posting about.